So, you are looking for an accounting solution. You’ve searched and found a couple of big names being mentioned in every article and video there is about accounting solutions, such as Quickbooks online and Freshbooks. This is because those two are the best in what they do, but now you need to make a decision. So, let’s see what both Freshbooks and QuickBooks offer to find out which one should you go for. When it comes to accounting, QuickBooks online takes the cake. It truly is a complete accounting solution and offers the full range of accounting features that you can expect from an accounting software. FreshBooks doesn’t advertise itself as an accounting solution, to begin with, instead, it advertises itself as an invoicing and accounting solution. It lacks some accounting features that an accounting software shouldn’t lack, such as double-entry accounting capabilities and basic accounting capabilities. Freshbooks offers some useful bookkeeping features that are great for small businesses, such as expense tracking, but it lacks the full range of accounting features that make it a truly accounting software. Just from looking at the lists you can clearly see that QuickBooks Online offers more features than FreshBooks. It’s also worth noting that QuickBooks’ features are more advanced, developed, and robust. For example, FreshBooks offers 6 reports while QuickBooks online offers up to 75 reports. Winner: QuickBooks online takes this one. Both are cloud-based. QuickBooks has mobile apps and so does FreshBooks. FreshBooks’s mobile apps are some of the best and they are truly fully-featured – something which cannot be said about other accounting solutions’ mobile apps. They are also very user-friendly and easy to use. QuickBooks Online mobile apps are generally good, but there is a problem with glitching and crashing that comes and goes, and this makes the app not as dependable as FreshBooks’s. Winner: FreshBooks – their mobile apps are among the top you can find. QuickBooks online plans range is $15-$50 monthly. FreshBooks plans range is the same: $15-$50 monthly. Winner: QuickBooks Online – because QuickBooks offers more features for the same price, they take this round. This is one area where QuickBooks falls short. It’s not that the software was designed to be difficult to use, it’s that it was modeled similarly to QuickBooks Pro, which has made it a bit difficult to navigate and so it takes a little bit of time to learn the software ins and outs. 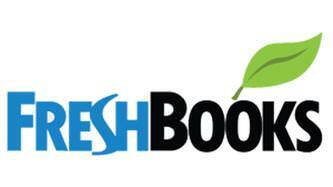 FreshBooks is user-friendly and easy to use. The software is exceptionally well-organized and intuitive. It also has this beautiful User Interface that is just the cherry on the cake. Winner: FreshBooks take this one, and deservingly so. Depending on the plan, QuickBooks Online supports only 1 to 5 users. Only QuickBooks online offers user permissions. Unfortunately, FreshBooks is even worse as it offers only 1 user. Every additional user costs $10/month. This is a problem for small businesses and one of the reasons small business owners often avoid FreshBooks. FreshBooks doesn’t offer User permissions at all. Winner: QuickBooks Online – while neither is particularly generous when it comes to users and permissions, QuickBooks does offer user permissions while FreshBooks doesn’t, and it offers more users. Customer Service and Customer Support are, unfortunately, not some of QuickBooks strong points. This is the one area where QuickBooks could really need some improvement. Long waiting times and lack of email support means that the Customer Support of QuickBooks is not only below that of FreshBooks, but below average in General. On the Contrary to QuickBooks, FreshBooks offers not good, but incredible customer support. You are almost never put on hold. You will almost always find that the representative on the other side of the call is well-informed, helpful, and patient. To make things even sweeter, FreshBooks offers other support options such as a help center, in-software support, and webinars. Winner: FreshBooks – It’s really hard to compete with such high level of customer support. We really wish QuickBooks start working seriously on their customer support because this is just not good. 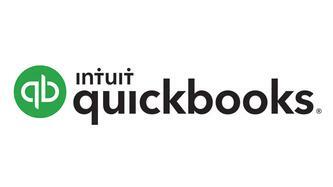 QuickBooks online has over 400 integrations. Winner: QuickBooks – And it’s not even close. QuickBooks online boasts SSL encryption, redundant data backups, secure data centers, as well as regular testing for intrusions and vulnerabilities. Combine all that with physical safeguards and I think it’s okay to say you will be safe with QuickBooks Online. FreshBooks takes the same security precautions as QuickBooks Online. Winner: None – Both services are equally secure and your data will be safe whichever option you choose. If you’re looking for a software that is primarily an accounting solution, QuickBooks Online is your best bet. It offers more features and has better value for the money. QuickBooks is almost the full package. It’s fully-featured and better developed. It suits a wider range of businesses. However, FreshBooks does have some Aces up its sleeve, those being primarily their excellent customer service and their user-friendly interface and the fact that it’s so intuitive and easy to use that you can just pick it up and start using it almost immediately. It all comes back to you. What do you value more? More features? Better Mobile App? Great Customer Service? Simplicity and Ease of Use? You should start by getting your priorities straight. Decide what do you think is the most important point for you, and only then the right choice can be made. We hope this could help you. If it did, share it. If it did not, tell us how we could improve it in a comment below. Also, feel free to leave any questions in a comment below!